These tips will have you looking and feeling your best when you're tying the knot far from home. Getting camera-ready in an unfamiliar locale takes some strategizing. If you're planning a destination wedding, you'll quickly realize that you don't have the same access you do when you live in the same city as your vendors. That doesn't mean you don't have options though. 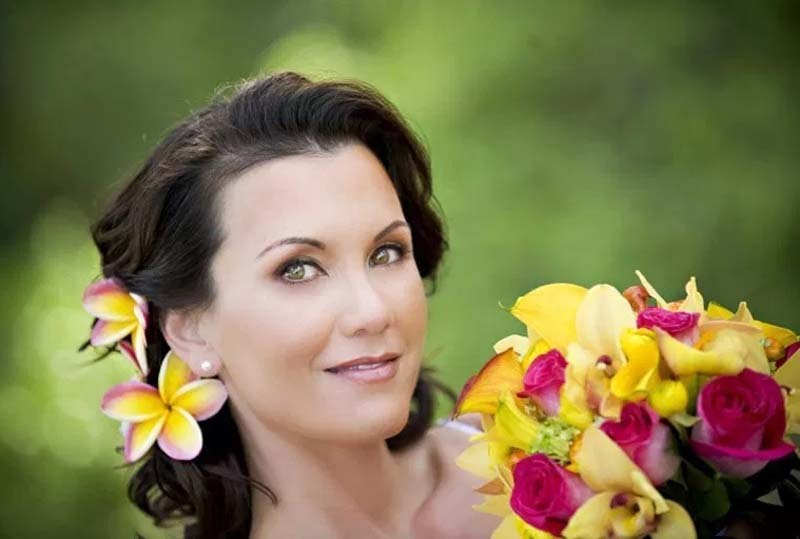 When it comes to choosing hair and makeup pros for your destination nuptials, the guidelines below will help make the process so much easier. Bring your pro with you. Enlist your trusted team, à la Meghan Markle. "They know your face, hair, and personality, and can deliver," says New York City makeup and hair artist Sharon Becker of SB Beauty. "You'll be paying their travel expenses, so make the most of their time and structure a package that includes the rehearsal dinner, touch-ups throughout the wedding, and maybe even working with your family and members of your bridal party as well," she advises. Start by doing your research. Ask your venue's event manager and photographers who've worked there (look for featured weddings online and on social media) for recommendations. A bonus: Makeup or hair experts who live in hot or cold climates will have a good sense of how to ensure your 'do doesn't deflate and your foundation remains radiant. "Schedule a trial prior to the wedding, a few months in advance," says Becker. "Be specific about your skin condition, hair texture, and taste—and bring pictures." Provided you're not looking for anything over-the-top ornate, draft your best friend to lend a hand. Take lessons together, a month or two before the big day. Have a makeup artist show you how to create the look, using a face chart and drawing out step-by-step instructions with what product and brush to use for each step. Apply the same methodology to hair, ensuring you have the flat or curling irons, brushes, pins, and finishing sprays to lock in the look.